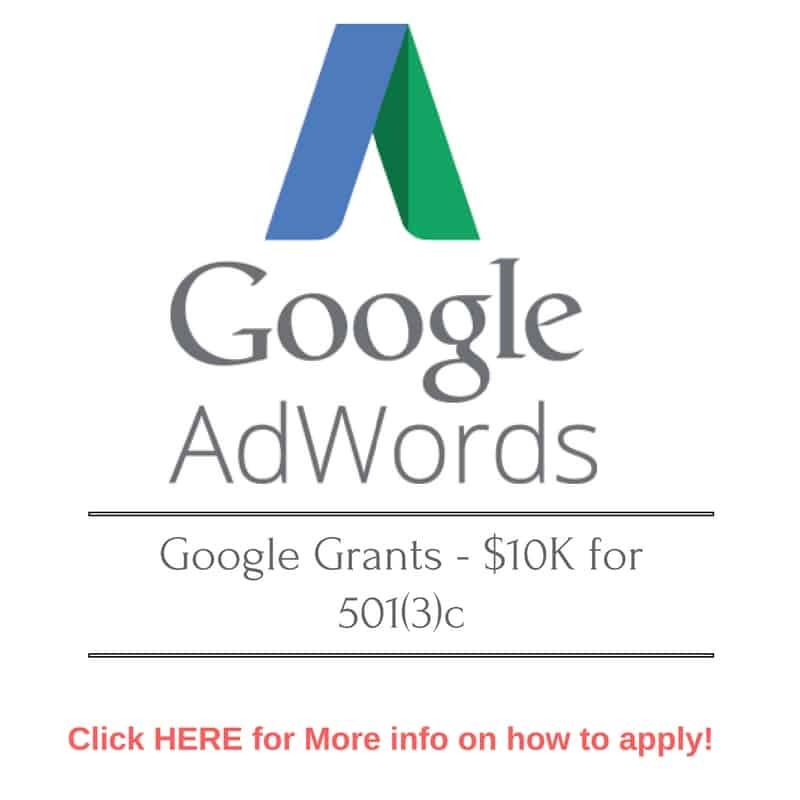 Check out Google Grants $10K in Google AdWords Credit for 501(c)3! A win - win for Google and non-profits! Many that are 501(c)3 are applying for Google Grants - which is Google's way of supporting non-profits by giving them $10K in advertising money on their VERY powerful platform Google Adwords. While not everyone is accepted if you know of a non-profit that could use an extra boost this is a great avenue to pursue. Remember that 95%+ of the searches done in the US are done on Google. With a smart budget, you can really make that grant go far and create a successful campaign. If you know of a great nonprofit be sure and share the link to this page so that they can apply for this grant!